Herman E. Daly is Emeritus Professor at the University of Maryland, School of Public Policy. From 1988 to 1994, he was Senior Economist in the Environment Department of the World Bank. Prior to 1988, he was Alumni Professor of Economics at Louisiana State University, where he taught economics for twenty years. He holds a B.A. from Rice University and a Ph.D. from Vanderbilt University. He has served as Ford Foundation Visiting Professor at the University of Ceará (Brazil), as a Research Associate at Yale University, as a Visiting Fellow at the Australian National University, and as a Senior Fulbright Lecturer in Brazil. He has served on the boards of directors of numerous environmental organizations, and was co-founder and associate editor of the journal Ecological Economics. 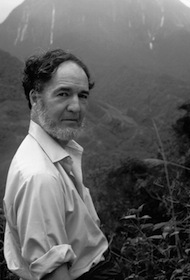 Daly, who was a student of Georgescu-Roegen, built upon his mentor's work and combined limits-to-growth arguments, theories of welfare economics, ecological principles, and the philosophy of sustainable development into a model he called steady state economics. He later joined forces with Robert Costanza, Ann Mari Jansson, Joan Martinez-Alier, and others to develop the field of ecological economics. In 1990, these prominent professors established the International Society of Ecological Economics. The three founding positions of the society and the field of ecological economics are: (1) The human economy is embedded in nature, and economic processes are actually biological, physical, and chemical processes and transformations. (2) Ecological economics is a meeting place for researchers committed to environmental issues. (3) Ecological economics requires trans-disciplinary work to describe economic processes in relation to physical reality. 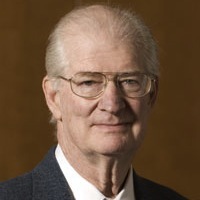 Daly’s interest in economic development, population, resources, and environment has resulted in over a hundred articles in professional journals and anthologies, as well as numerous books, including Toward a Steady-State Economy (1973); Steady-State Economics (1977; 1991); Valuing the Earth (1993); Beyond Growth (1996) ; Ecological Economics and the Ecology of Economics (1999); Ecological Economics: Principles and Applications (with J. Farley, 2003) ; and Ecological Economics and Sustainable Development (2007). He is co-author with theologian John B. Cobb, Jr. of For the Common Good (1989; 1994) which received the 1991 Grawemeyer Award for Ideas for Improving World Order. In 1996, he received Sweden's Honorary Right Livelihood Award, and the Heineken Prize for Environmental Science, awarded by the Royal Netherlands Academy of Arts and Sciences. In 1999, he was awarded the Sophie Prize (Norway) for contributions in the area of Environment and Development; in 2001, the Leontief Prize for contributions to economic thought, and, in 2002, the Medal of the Presidency of the Italian Republic for his work in steady-state economics. In 2010, the National Council for Science and the Environment gave him its Lifetime Achievement Award.